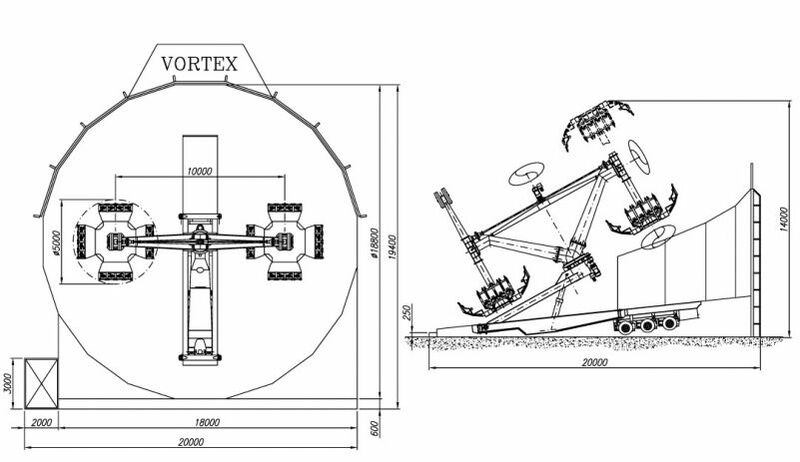 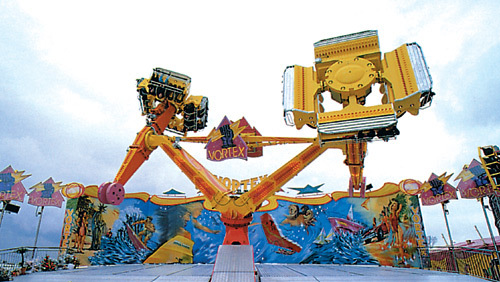 When the passengers have been embarked, the main arm is hydraulically lifted up to an angle of 30° and the V-shaped centre starts rotating in a clockwise or counter-clockwise direction. 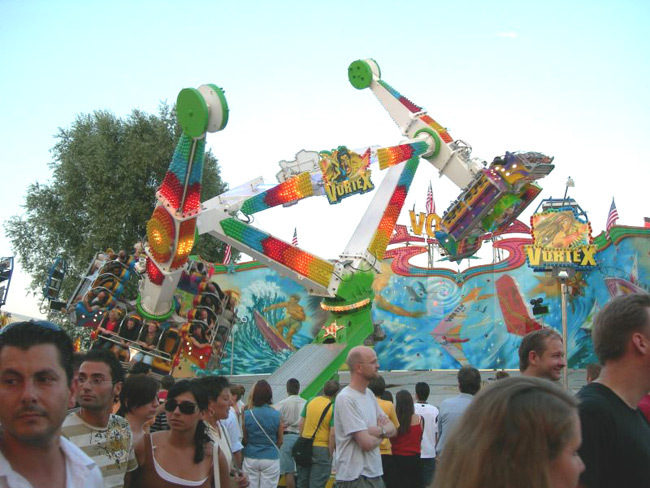 Simultaneously, the car arms and vehicles will start rotating, each one in a different direction. 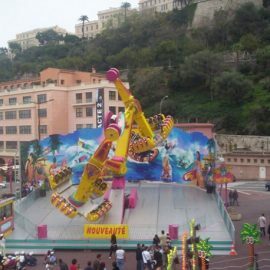 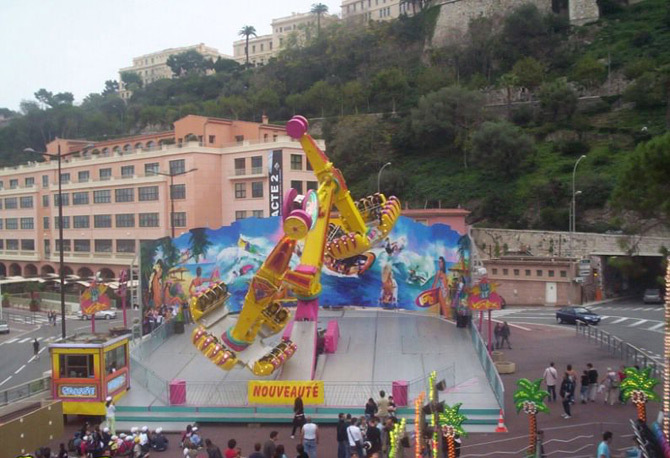 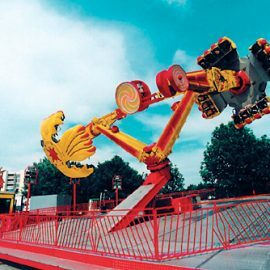 The contemporary rotation of the V-shaped centre, car arms and cars, together with the new free dangling-leg system, results in an extraordinary emotion for both the passengers and public. 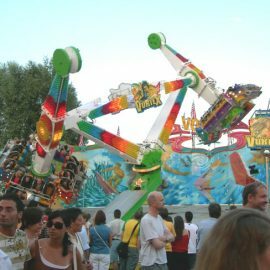 The operator can choose either the speed and the sense of rotation. 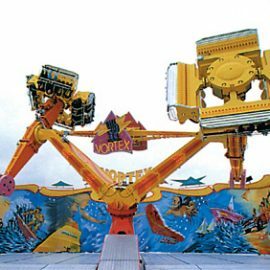 When the ride moves very slowly, the emotion of the passenger is intensified, when it moves very fast, the passenger will lose orientation. 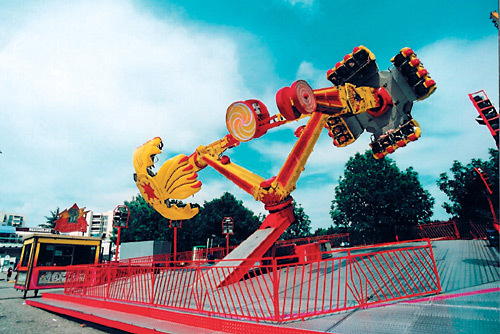 We suggest a ride duration of 1.5 minutes. 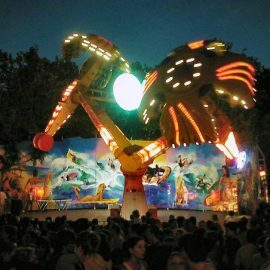 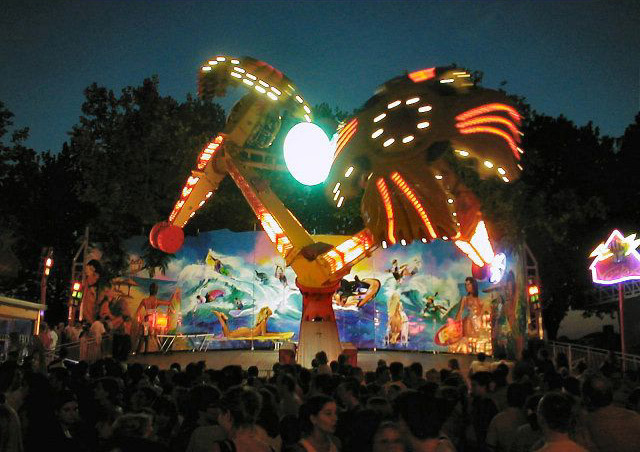 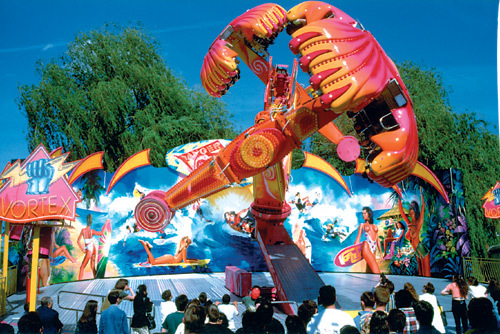 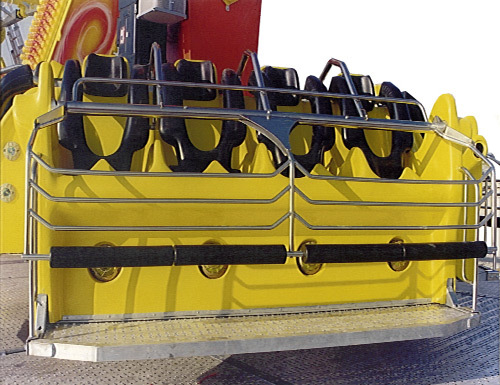 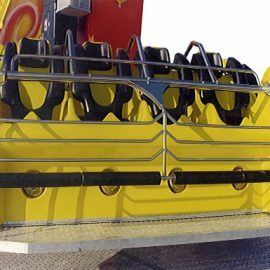 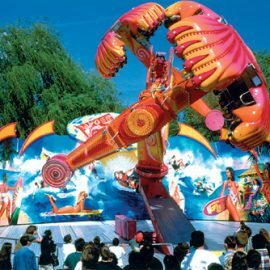 A very dynamic Company and a serious player in the ride manufacturing industry, exporting Amusement Rides all over the world and using only certified quality materials being aware that quality means to assure safety but also to require a low maintenance.